Well folks, we’ve all done it. In one swift motion you hear that sound and dread looking down because you know what you’re going to find–that dumb dumb dumb hole!! Argh! After you get a few swear words out of your system, then you quickly accelerate to the mourning phase. 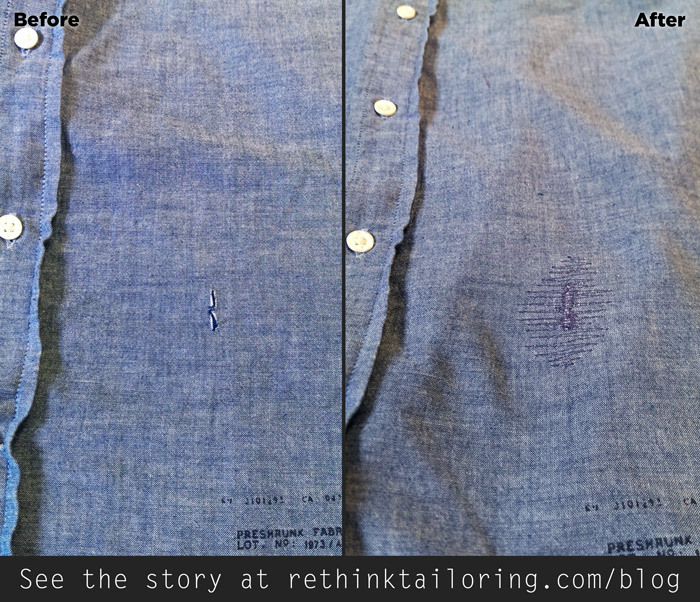 However you might not have to give up on that shirt because of one silly hole! 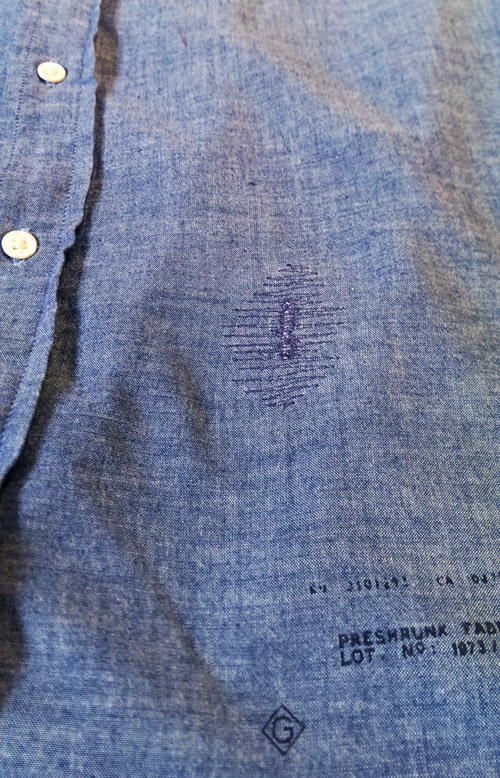 On this shirt, we have a slice that’s pretty obvious. 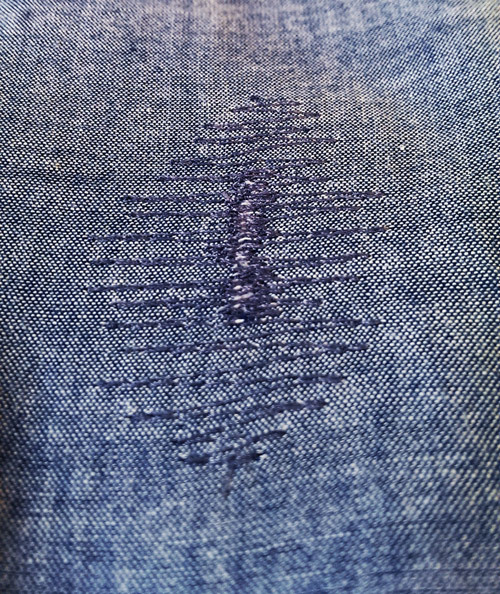 Because of the texture, there’s no hiding a repair on this guy. So I got the ok by the client to back it with another fabric, and add a bit of decor stitching in a similar color. Easy enough right? It’s not invisible, but it sure does look cool. Do you want to rescue you’re shirt so you don’t have to toss it? 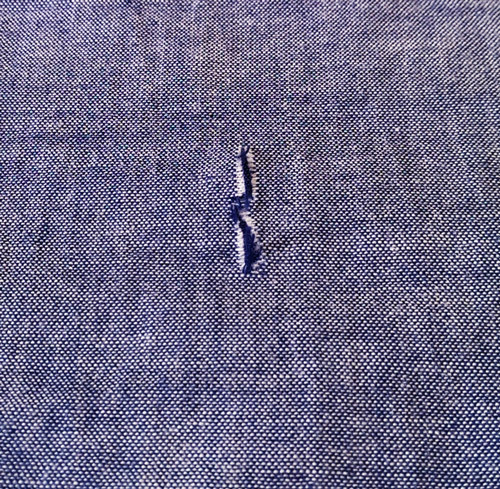 Email me about your project (with a pic of the damage if you can) at kristen@rethinktailoring.com and we can brainstorm ideas.